There are many ways to improve cycling performance, and with all the information out there it is easy to get confused about what to focus on. With our busy schedules only permitting a limited amount of dedicated training time, it is important to be smart about how you’ll get the most out of your efforts. Personally, I’ve made some silly mistakes in the past, focusing on the newest craze and ignoring critical techniques to enhancing my performance on a time-crunched schedule. 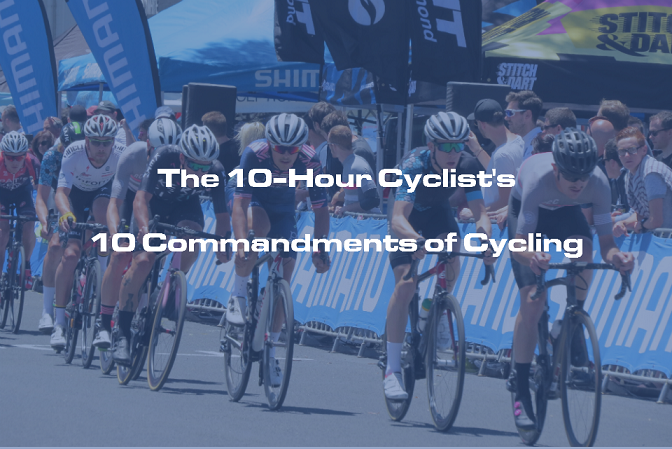 With all this in mind, we have initiated the 10-Hour Cyclist blog series which will kick off with the 10 Commandments of Cycling. 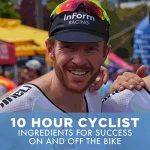 Our goal is to provide you with 10 critical tools which can help you become a stronger cyclist. The first commandment can be read here, and over the coming weeks we will be releasing a new commandment regularly. The short two-minute video below goes into further detail about our new blog series.